Counter Intelligence POS System - 'Single Store' is ideal for the "potential" multi store operator as well as the single store operator that requires specific stock control features ie. size, colour, style which is typical for shoe, apparel, sporting goods, fashion stores etc. The core Counter Intelligence Office & POS Software product offers the functionality that will satisfy most retailers: an exceptionally easy to use POS Entry Screen, Stock Control - including size, colour & style matrix, Extensive Stock, Sales and Audit Reporting, Debtors (Customer Shop Accounts), Suppliers, Product and Shelf label printing, Banking, Lay-By, Customer Loyalty, Promotional Pricing and much more. In addition to the Counter Intelligence POS System - 'Single Store' product are several 'Add-ons' that can further enhance your business. 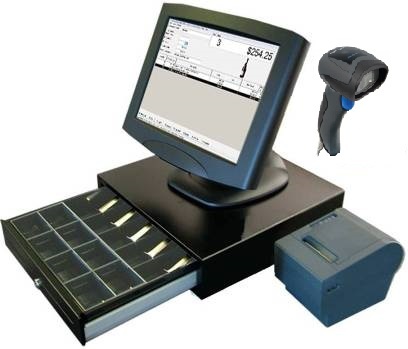 They include: EFTPOS terminal Link Software and "e-Retailer" online store interfaced to your POS System, Barcode Label Printer, POS Customer Display, additional OFFICE user licenses, additional POS Terminals and or Software. Counter Intelligence (Single Store) Software comes in two parts: Counter Intelligence OFFICE (for use on the POS PC or a Back Office PC within the stores local area network - LAN) and Counter Intelligence POS (for use at the Point of Sale) ie. 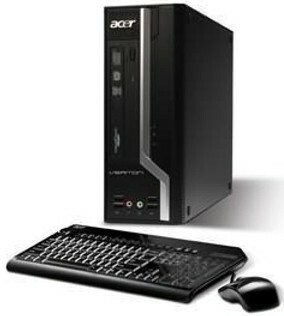 they may only operate together either on a single PC or on separate PC's networked via a LAN within a single store. PROSPA PAY Buy over 13 weekly payments of $ 491.54 (ex. GST). No Interest ever and No Fees if you pay on time. Contact Prospa Pay online at PROSPA PAY or call 1300 706 983 for a simple over the phone application. No obligation. SILVER CHEF Rent-Try-Buy. Rent from $ 81.10 (ex. GST) per week for a minimum of 12 months before you decide to either Buy (with 75% of prepaid rental being deducted from the original cash price), Upgrade or Return at no further obligation. Apply online at SILVER CHEF or call 1800 337 153 for a simple over the phone application. No obligation. Synopsis: Access POS is a leading supplier of Fashion Boutique POS Software and Systems in Australia. The POS terminals are very fast and easy to use. This powerful Fashion Boutique POS Software utilises the style - size, colour, fit matrix to achieve the specialised stock control requirement needed by the Clothing / Fashion & Apparel industry. Synopsis: Access POS is a leading supplier of Clothing & Apparel Store POS Software and Systems in Australia. The POS terminals are very fast and easy to use. This powerful Clothing & Apparel POS Software utilises the style - size, colour, fit matrix to achieve the specialised stock control requirement needed by the Clothing / Fashion & Apparel industry. Synopsis: Access POS is a leading supplier of Shoe & Footwear Store POS Software and Systems in Australia. The POS terminals are very fast and easy to use. This powerful Shoe & Footwear POS Software utilises the style - size, colour, fit matrix to achieve the specialised stock control requirement needed by the Shoe & Footwear industry. Synopsis: The Cinch & Tattoo Fashion Stores are rolling out the latest Multi-Store Fashion POS System across their 16 stores. Synopsis: Access POS is pleased to announce that Ford Performance Racing will install our Counter Intelligence POS System in coming weeks in preperation for the uncoming 2014 VB Supercar season. Synopsis: The new POS System installed by Brand Management Australia for HRT (Holden Racing Team) & Red Bull Racing mercahndise sales has been a stunning success at the Clipsal 500 V8 Supercar event in Adelaide. Synopsis: Access POS is pleased to announce the successful installation of its multi-store POS and warehouse distribution software system which will be used to control merchandise sales for Red Bull Racing Australia and Holden Racing Team (HRT). Synopsis: Access POS has this week installed its flagship multi-store apparel POS solution into Boutique Nour Al Houda located in Waterloo Road, Greenacre (South-Western Sydney Suburb). The boutique specialises in islamic clothing and has a total of three stores across Sydney. Synopsis: Access POS are very proud to welcome the highly successful V8 Supercar outfit Kelly Racing (Todd and Rick Kelly) as a new client. Kelly Racing previously outsourced their merchandising division but has since resumed direct control. A suitable POS System was required to provide inventory control, detailed sales analysis, multi-location capability and of course a user friendly POS to cater for their merchandise hungry fans at race meetings. Synopsis: Access POS is pleased to announce that it has been choosen by the Queensland based, Flash Harrys Discount Variety Stores, to install the Counter Intelligence Multi Store POS Software across all stores and their head office. Synopsis: Access POS is an Australian distributor of the renowned Counter Intelligence Retail POS Software. The Counter Intelligence Retail POS Software team at Access POS and has significant experience in the implementation of this product into many retail stores across Australia.